Carpal Tunnel Syndrome (CTS) is a work-related musculoskeletal disorder often known as a compression neuropathy of the median nerve that passes through the carpal tunnel. Based on clinical symptoms and nerve conduction tests conducted among the general population, CTS is 3.0-5.8% prevalent among women and 0.6-2.1% among men. It is generally believed that CTS is caused when the pressure in the carpal tunnel increases. In recent years, those who use computers in the long run are reported to be the victims of this syndrome. When the disease is in the initial stage, patients report about the involvement of the sensory component of the median nerve. Only when the disease progresses, patients report symptoms linked with the motor fibers. The widely experienced symptom is the burning sensation along with tingling and numbness in the distribution of median nerve distal to wrist. The parts involved in the symptoms are the thumb, middle finger, index finger and radial half of the ring finger. The little finger doesn’t get the symptoms as it is innervated by the ulnar nerve. Very rarely, the ulnar nerve also gets the pain. Patients are often disturbed from sleep because of pain and they have to shake their hands vigorously to get relief. Nocturnal paraesthesia symptoms are reported to be 51-96% sensitive and 27-68% specific. Some patients report of pain radiating to the forearm, elbow or even the shoulder. In Kendall’s series of 327 patients, 313 (95.7%) reported paresthesia; 118 (38%) reported nocturnal symptoms only, 178 (58%) reported symptoms during the day and night, but worse at night, and 17 (5%) reported symptoms during the day only. In the Yamaguchi et al series, 99% of the 433 surgical patients reported paresthesia. In Phalen’s experience, the typical history was that of a gradual onset of numbness and paresthesia. O’Connor et al conducted a research to find out whether the above non-surgical treatment options in mild to moderate CTS are really helpful. It was concluded that a significant short-term benefits may be noticed with oral steroids, wrist splinting, local ultrasound therapy, yoga, steroid injection into the wrist and carpal bone mobilization. However, the authors did not find any evidence to support the role of other treatment methods. The division of transverse carpal ligament is done in surgery. 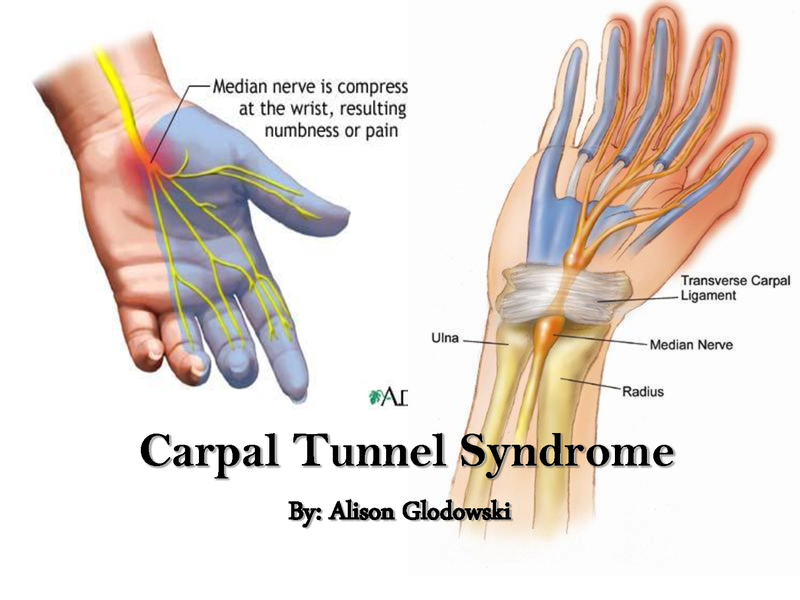 This increases the space in the carpal tunnel, reducing the pressure on the median nerve. Surgery is recommended for most of the patients with moderate to severe CTS. Two different surgical procedures are in use. One is the conventional open surgery and the other one is through endoscope. Each has its own advantages and disadvantages. However, open release is highly recommended and performed in higher count. Carpal Tunnel Syndrome is experienced by most of the people who spend more time using computers. It is believed that numerous biomechanical factors induce pressure on the carpal tunnel resulting in CTS. The important component that is affected by CTS is the forearm muscle which is stressed due to repetitive usage. There are a number of ways to diagnose CTS and surgery is the only way to treat patients with moderate to severe CTS.